Each month Fix the World helps others in need through Kiva. We are happy to share their stories with you here in this report. The “Microcredit Plus” program of Friendship Bridge, that combines small loans & educational trainings, is an effective vehicle for the 12 women who live in Santa Cruz El Quiché. They have formed the Trust Bank “Flores de Chontola” & with big smiles, are beginning their 4th loan cycle with KIVA. The majority of them have traditional textile businesses & weave the colorful woven & embroidered blouses called “huipiles”, as well as typical belts called “fajas”. They meet monthly with a Facilitator from the organization & after transacting business on their loans, participate in educational trainings that empower them, give them new insights into caring for their families, as well as information about effective business practices. Tomasa is a member of the group who is 24 years old, married with a 1 year old daughter. She finished the 6th grade. Tomasa has a traditional textile business & with her previous loans, she has been able to increase her income & offer her customers more variety. She is requesting a loan to invest in “fajas” (belts) & a variety of colorful, good quality thread. Tomasa wants her daughter to benefit from a complete education & enjoy a more prosperous future. 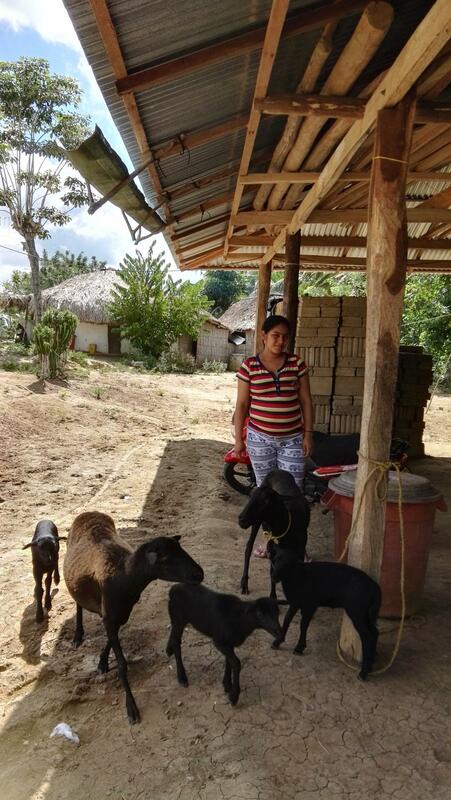 Ana is a resident of the municipality of San Andres de Sotaviento, a person of limited resources but with great dreams such as having a lovely house, improving her loved ones’ economic conditions and offering her 3 daughters, ages 8, 10, and 1, a better reality. She asks for a loan which will allow her to boost her work raising sheep, the money will be destined to purchase materials to build a corral and troughs to make better use of the rain water since, in this area, this resources is not very abundant. Part of the money will also be destined to purchase animals. Leonard ‘s Group is formed by 13 farmers in Matete District and is being represented by Leonard, who is the group leader pictured above. He is 47 years old, is married and has 2 children. Leonard has been a farmer for more than 20 years and is often referred to as a very friendly person. Leonard isn’t new to One Acre Fund, he actually joined the program in 2014 and has since noticed his life has changed; especially in the sense that he has been able to consistently feed his family ever since. 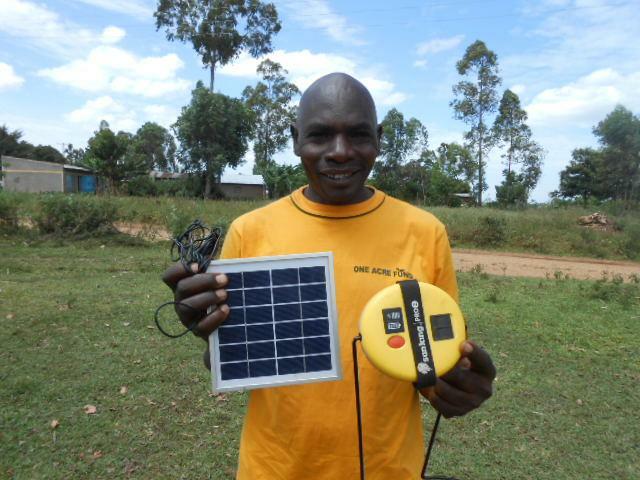 This year, Leonard will not only get fertilizer and maize seeds as part of his loan, but will also purchase a solar light. He is very excited about this addition since now he will be able to reduce the consumption of paraffin fuel and therefore save more money. Using this loan, Leonard ‘s Group will purchase a total of 8 solar lights and use the farming inputs received to plant a total of 6.75 acres. Juditha works hard to support six children. She is married and has a buy and sell vegetables business in the Philippines. 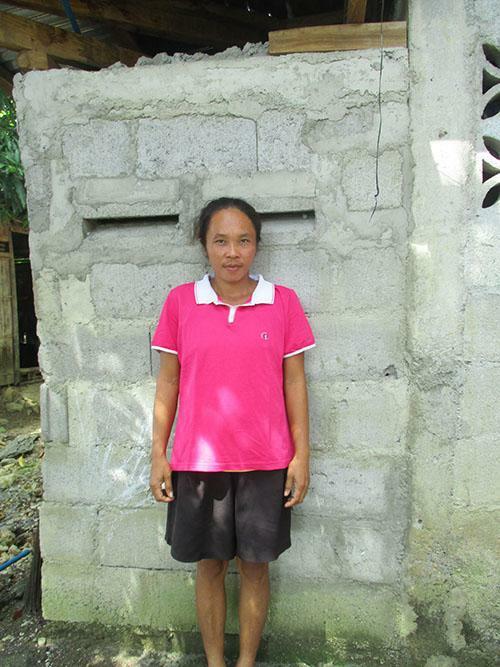 She requested a 10,400 PHP loan through NWTF to pay for materials and labor to construct a sanitary toilet for her family. Juditha is aware that by using the sanitary toilet, she is reducing health and hazard risks to her family and neighbors as well as promoting environment protection. NextMorocco Community Center Celebrates its First Full Year!